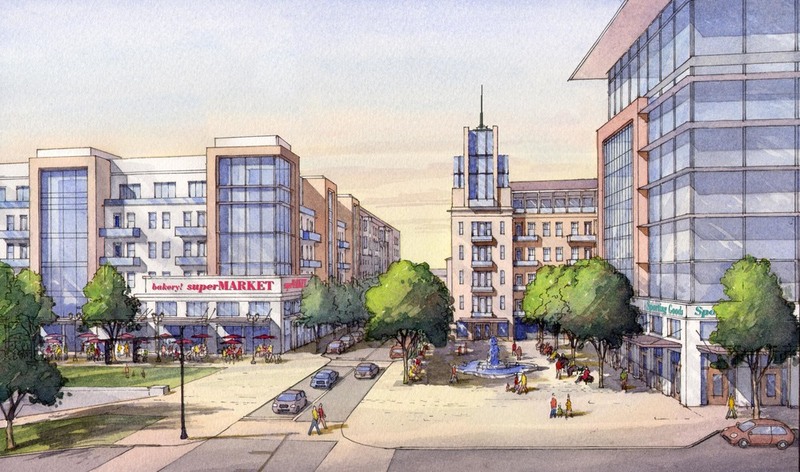 The Mark Center Master Plan is an example of Dover-Kohl’s work in designing sustainable infill/redevelopment strategies. 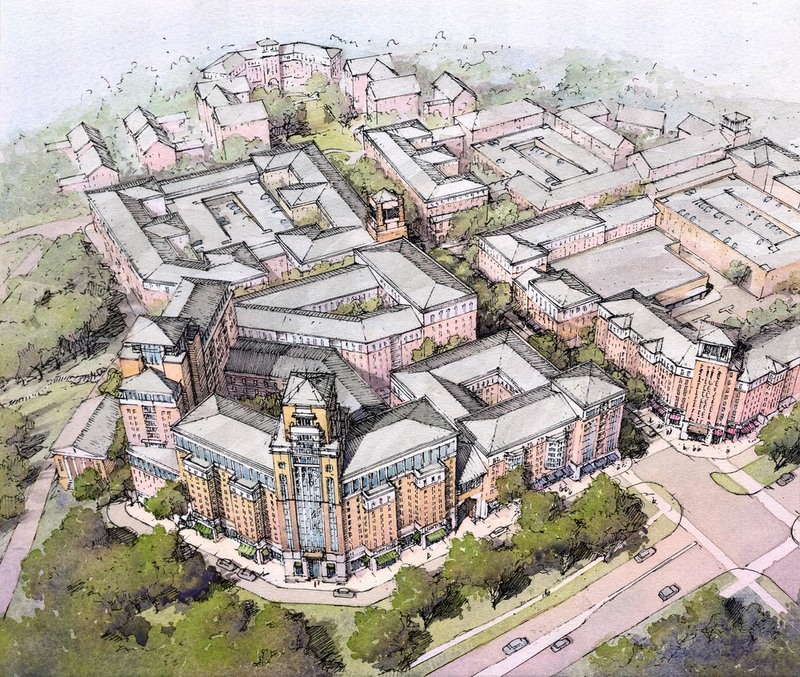 In collaboration with Duany Plater-Zyberk & Company, Dover-Kohl was hired by The JBG Companies to create a Master Plan for the long-term redevelopment of their properties located in the Mark Center area of Alexandria, Virginia. Bisected by North Beauregard Street, the site contains approximately 2,900 garden-style apartment units dating from the late 1950s and a 63,320 square-foot retail center. The City of Alexandria initiated a Small Area Plan for the Beauregard Street corridor, which includes a large portion of JBG’s properties. 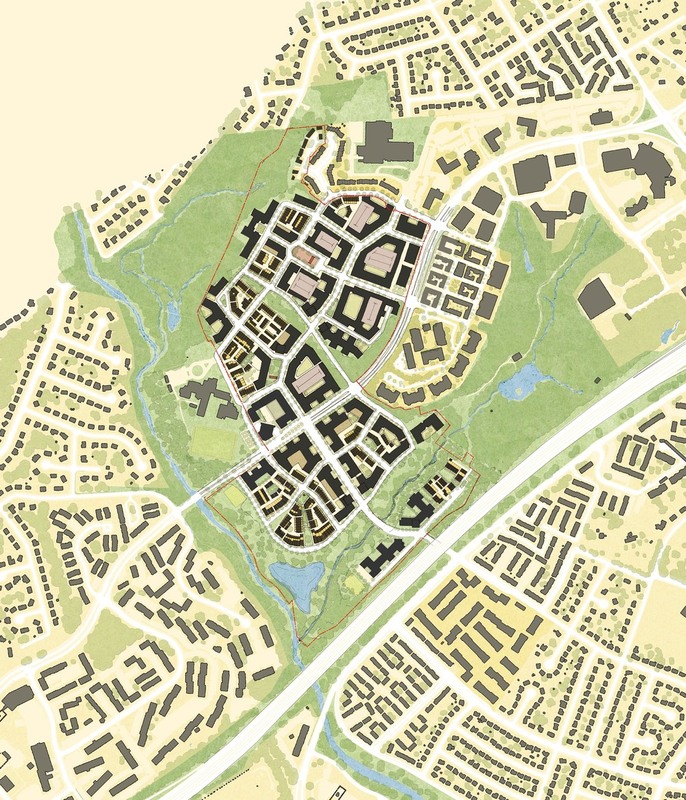 The Small Area Plan was largely in response to the selection of Mark Center by the Department of Defense for the BRAC-133 (Washington Headquarters Service) project, which will add more than 6,400 employees to the Mark Center area in September 2011. This influx of new office workers will change the landscape of Alexandria’s West End, and has yielded a significant need to proactively plan for future land uses, development patterns, and transportation services in the area. 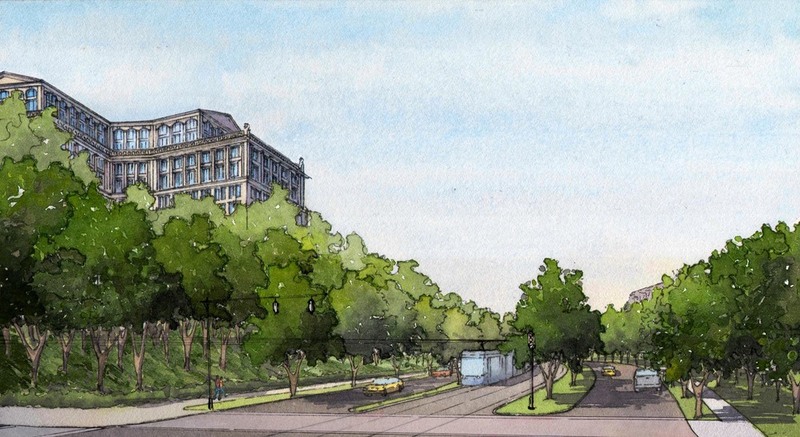 In parallel with the City’s process, The JBG Companies initiated a planning effort to establish a long-term vision for the future of its property that will be a model of Smart Growth and sustainable urban design principles, and that will work with the vision, goals, and principles of the Beauregard Corridor Plan to complement and enhance the greater Mark Center area. 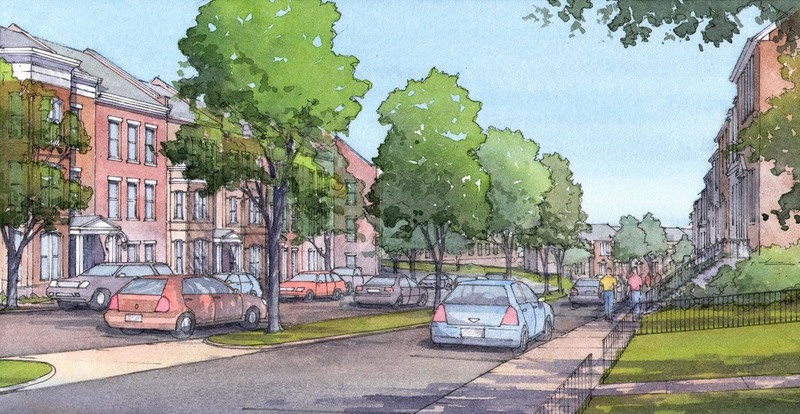 In May 2010, a multi-day public design workshop was conducted to investigate design options for the site and gather feedback from the Alexandria community. 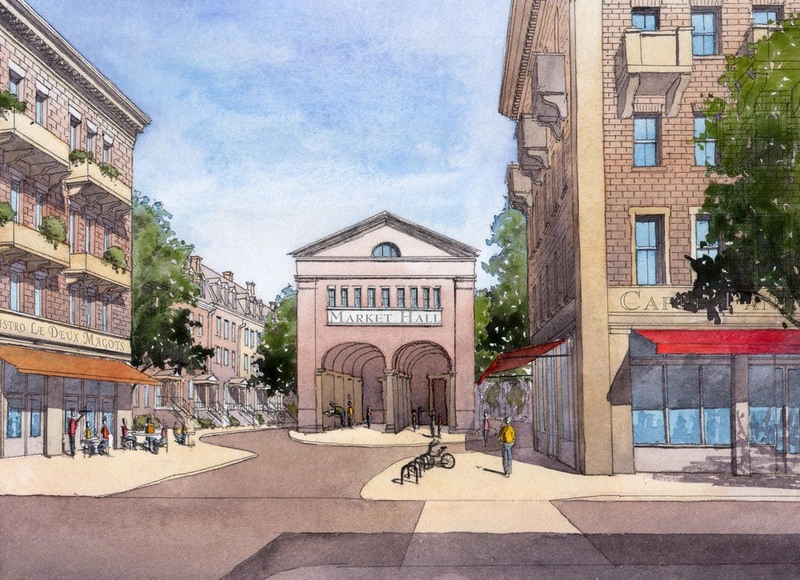 Plans and illustrations demonstrated how the site could evolve over time to include a mixture of uses (including housing for area workers), a network of streets, and connected open spaces and environmental systems. During 2011, Dover-Kohl worked with the JBG team, other area developers and their consultants, the City of Alexandria, the Beauregard Corridor Stakeholders Group (BCSG), and greater Alexandria community in a series of monthly public meetings to explore livable land use and transportations solutions for the Mark Center area. This process informed the Small Area Plan, which was unanimously approved in May 2012. Redevelopment of the JBG site is anticipated to be phased in over a 30-year period, with construction beginning on the first phase no sooner than 2015.